One day we had the idea to make a simple game for mobile, different from all the complex things we have today, agame where you take the eggs from the chickens while it fell to the ground. Then, little by little and make conseguinhos viable platform for Meego, the first Brazilian to play Nokia N9. It’s free at the Nokia Store. I haven’t got a N9 so I haven’t tried it myself. 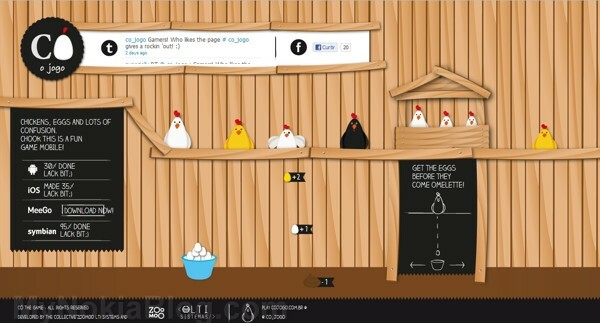 In this game you have to help the farmer to catch the eggs. Each level has a different number and type of chickens, also each chicken can lay different types of eggs, challenging the hability of player. The user controls a basket that is used to catch the eggs using the phone sensors (tilt to move), so the controls are easy to learn and fun to use.